What Does It Take to Become an Olympic Trap Shooter? You may or may not know that shooting is an Olympic sport. If you’re a fan of trap shooting or shooting in general, you might have heard about it in the games. Maybe you’ve even watched them, but what does it take to become an Olympic trap shooter? More importantly, could you do it? As the name suggests, Olympic trap is an Olympic shooting competition that consists of six competitors taking turns to shoot at targets. There is a trench that’s about 15 meters from a shooting line that hides 15 clay traps arranged in groups of 3 each. Each trap is set to throw the clay birds to specified distances at varying angles and elevations with 45 degrees being the maximum horizontal angle. The competitors take turns at each stand, and then move to the next shooting line. USAS has put in place a shooting pattern to make sure that all shooters shoot the same clay targets but in a random order. That means that a competitor doesn’t know how the target will be thrown. In the men’s events, shots are made for five and more rounds, while in the women’s events shots are made for over three rounds. Shooters who go through the qualification rounds, go to the semi-finals. Scores from the qualifying round are not carried forward to the semis. The shooters with the third and fourth highest scores in the semis have to shoot another 15 targets for the bronze. The highest and second highest shooters in the semis battle it out for the gold. In the event of a tie, the winner is decided by a shoot-out on stands four, three, and two. Now that you’re acquainted with the basics of the sport let’s take a look at what you need to do to become an Olympic trap shooter. So, you think you’ve got what it takes, and you want to know the steps to become an Olympic champ in trap shooting. We’ve broken it down for you. Before you even think of picking up the gun, find out whether you meet the U.S. shooting games stipulations laid out by various governing bodies. First things first, you must be a registered U.S. citizen. Next, you need to meet all International Shooting Sports Federation (ISSF), United States Olympic Committee (USOC), and International Olympic Committee (IOC) requirements. You can find more information about these requirements on the official websites of these governing bodies. Be sure to check them out before you proceed. Once you have confirmed your eligibility to compete, you should get acquainted with the various guidelines of gun safety. 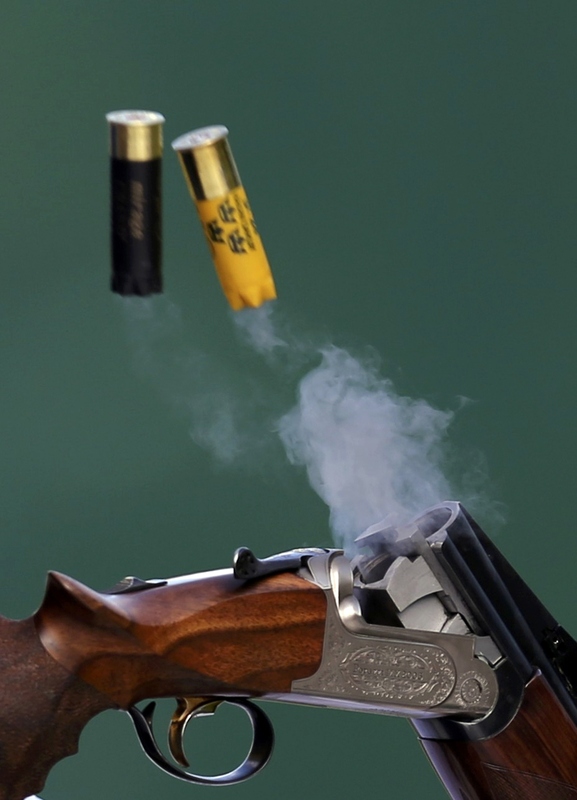 It goes without saying that guns can be dangerous when mishandled, especially at shooting competitions. Therefore, ensure you read manuals on gun safety. Also, take some training classes on gun safety with reputable facilities. 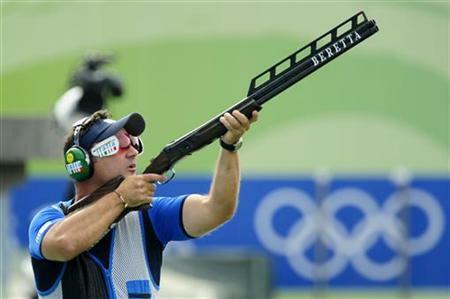 Like any other sport, you need to have a good coach for the best results in Olympic trap shooting. If possible, find a trainer with international experience. Of course, you can ask for coach recommendations, but you could also check the NSCA. The NSCA has Certified Instructors who teach at different levels, and they may have some in your area. If you’re serious about becoming an Olympic trap shooter, it’s something to consider looking into. Don’t be duped into thinking that you can do it all on your own. You need someone to help you build on your strengths and work on your weaknesses. A coach will also help you to network with relevant individuals and organizations in the sport. When buying a trap gun, ensure that you pick one that’s for trap shooting. That shouldn’t be hard, considering the wide variety of trap guns on the market today. Some of the popular brands include Blazer, Beretta, Perazzi, and Krieghoff. When choosing a trap gun, prioritize durability and performance. A satisfactory gun is going to cost you a fortune, but it will be able to withstand the thousands of rounds you will be shelling out through the years — unlike most cheap guns. And what is a good gun without the right ammo? For competitions, there are specified types of ammunition used. These types of ammo should not exceed a payload of 24 grams but should have a maximum velocity of 1410 feet per second. Practice doesn’t make perfect, but it certainly makes better. 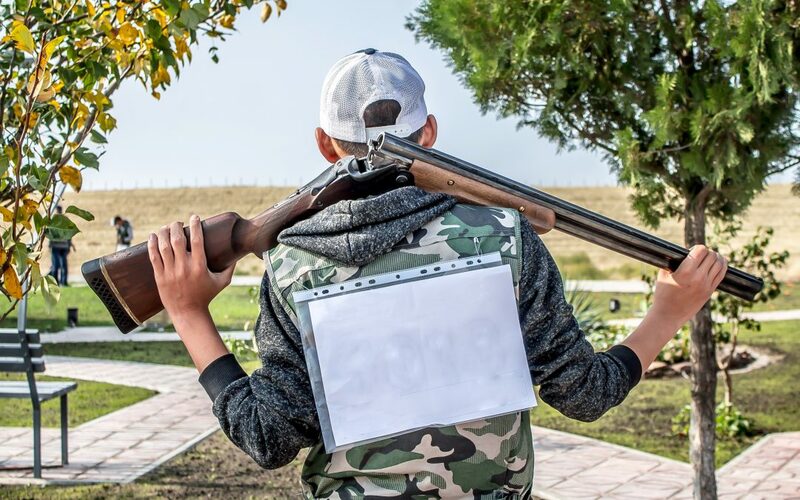 Practicing your trap shooting is not optional. Register yourself with a nearby shooting range, bunker, or gun club, and ensure that you work on your shots daily. Of course, you need to have regular sessions with your coach too. Your training shouldn’t be limited to the shooting range or a gun club. You also need to work on your physique, strength, flexibility, agility, and balance. That will help you in speed for fast-paced target shots. You will also need to shoot several rounds repeatedly and train your muscles for strength and endurance to help you withstand the recoil force. You may also want to work on your cardio to help manage your heart rate during intense competitions. The above five requirements are key to your success in USA shooting competitions. In addition to these, you may want to get your family, friends, and school to support you in pursuing your dream. Getting to be an Olympic trap shooter isn’t easy, but it may be worth it.